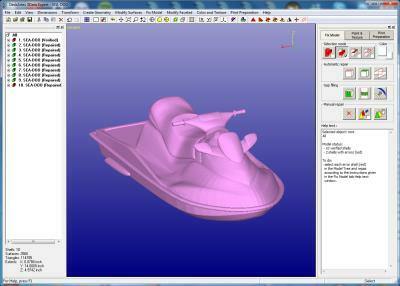 3Data Expert is a professional tool for preparing 3D models for Additive Manufacturing and Simulation applications. 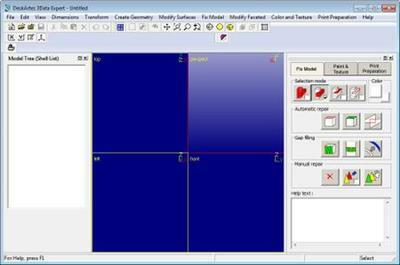 There are several commands for manipulation of both 3D surface models and 3D faceted models. These commands include surface triangulation, STL verification and repair, STL offsetting, splitting, connecting, decimation, smoothing, shrink wrap, nesting and Boolean as well as STL coloring and texturing. Sand Supports can be generated for deliate sand parts. Dimensions Expert is a simple, economical and user friendly tool for STL repair and splitting for machines with a smaller build area. Dimensions Expert suites professional Additive Manufacturing users and hobbyists alike.